Should bin Laden's compound be a tourist attraction? 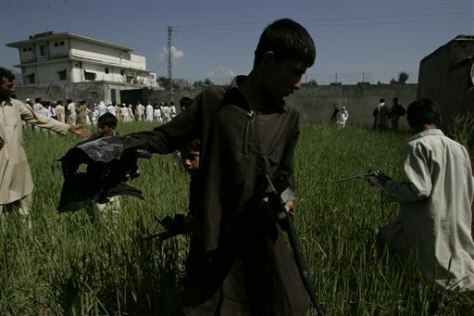 A Pakistani youngster collects metal pieces from a wheat field outside the house where al-Qaida leader Osama bin Laden lived in Abbottabad, Pakistan. Residents of this sleepy hill town in northwest Pakistan, named after a British colonial officer, are still trying to come to grips with their newfound infamy as home to one of the greatest mass murderers in modern history.